Whether you're looking to celebrate National Poetry Month during April or throughout the year, NCTE has plenty of resources to help you get started. #NationalPoetryMonth kicks off on April 1, and you’re invited to join NCTE members from across the country in NCTE Verse, a member-exclusive FREE professional learning opportunity aimed at providing ideas and inspiration around poets and poetry! "The Road Seldom Taken: Poetry"
"Poetry: The Best Words in Their Best Order"
Read the sample chapter to learn more about poetry as a pathway into academic writing. 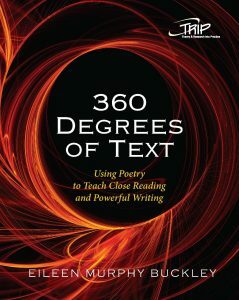 Learn more with these ReadWriteThink poetry lesson plans from the author. 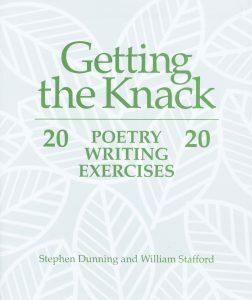 In Getting the Knack, authors Stephen Dunning and William Stafford offer 20 exercises covering different types or phases of poetry writing. The authors’ humor and nonacademic style will appeal to experienced and novice poets of all ages. Here are 27 outstanding poetry books to offer children and teens—not just this month, but throughout the year and across the curriculum. Use these books, and create connections with books from previous Notable Lists (2017, 2016, 2015, 2014, 2013, 2012, 2011) to create even more poetry joy! NCTE members and staff have written poetry-related blogs on a variety of subjects, from using NCTE and ReadWriteThink materials in the classroom to using poetry as advocacy, and more. The NCTE Poetry Award was established to honor a living American poet for his or her aggregate work for children ages 3–13. NCTE has hosted many poetry-related #NCTEchats over the years. Check out the archive for inspiration, resources, and more.